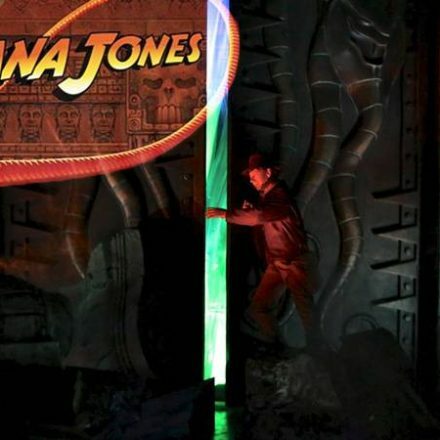 If you follow us on Facebook you may have already seen some of these pictures but we thought we put them together in one quick handy update for the rest of you! 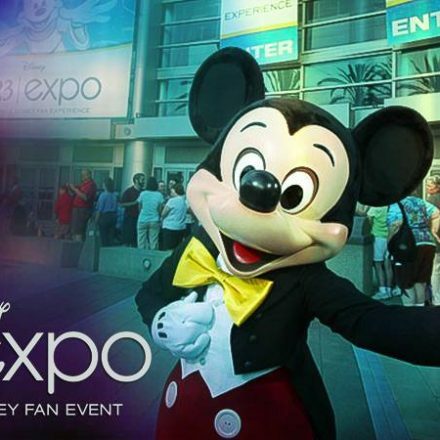 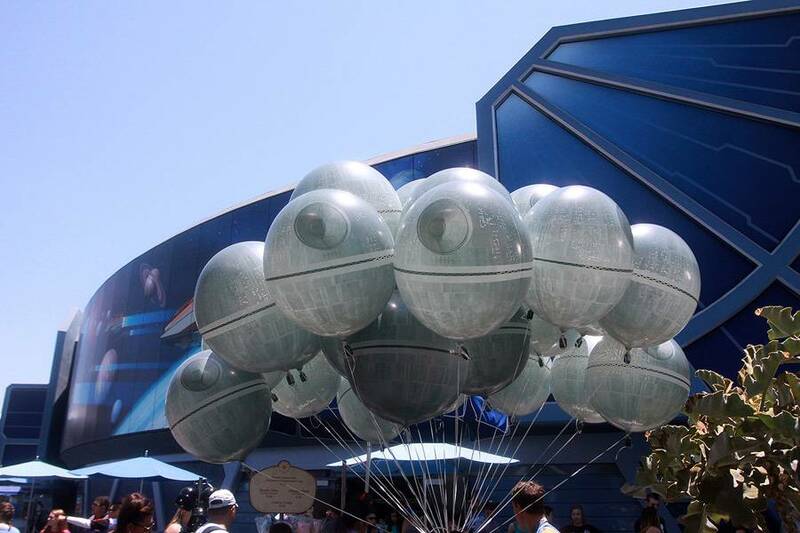 While there isn’t a Star Wars Weekends in Disneyland, we’re seeing some of the benefits of the Disney acquisition of Star Wars already. 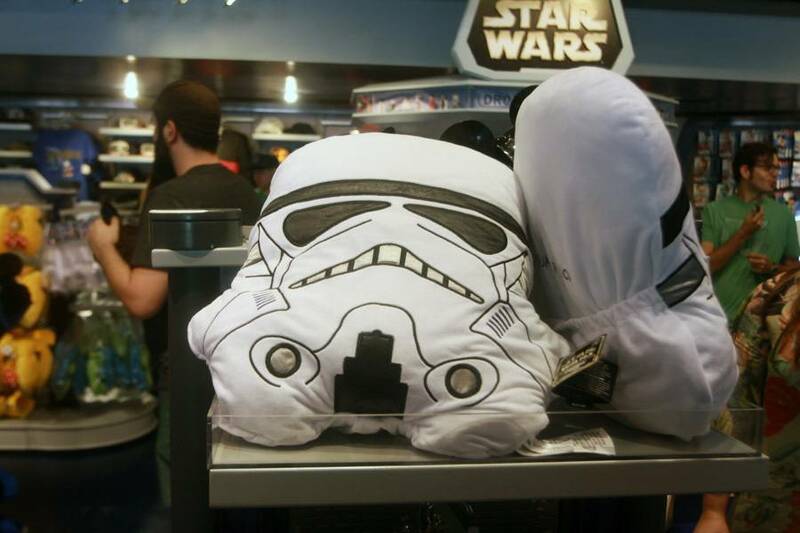 Not that it has stopped them from selling R2-D2 Popcorn Buckets in the past, but with the amount of new product we’re seeing, it is a literal force to reckon with. 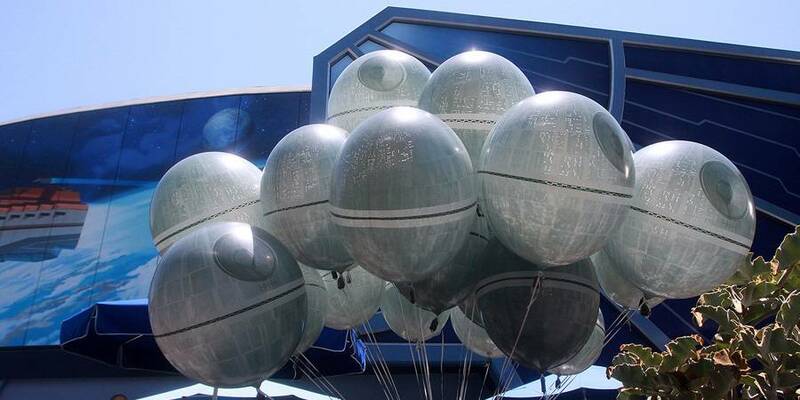 Death Star Balloons may be the greatest thing ever made, and can now be yours for about $14. 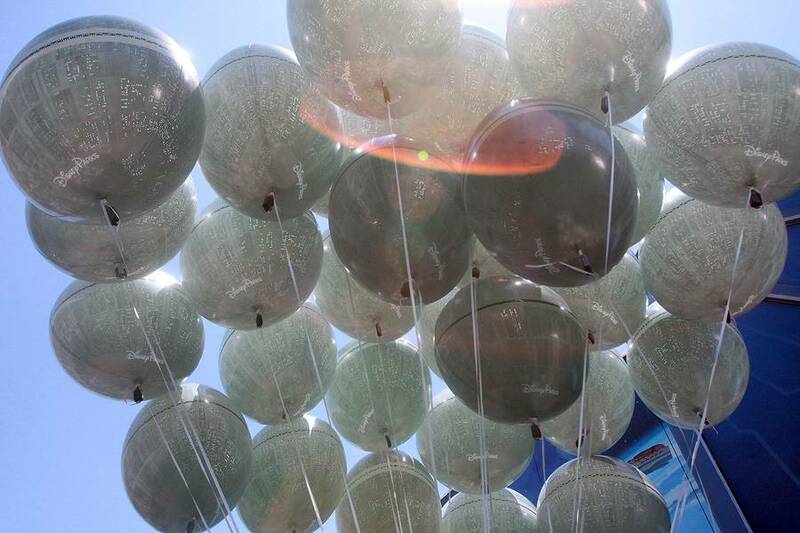 Your eyes are deceiving, don’t trust them, for this is one complete balloon with no special shapes for the laser although it does seem like it. 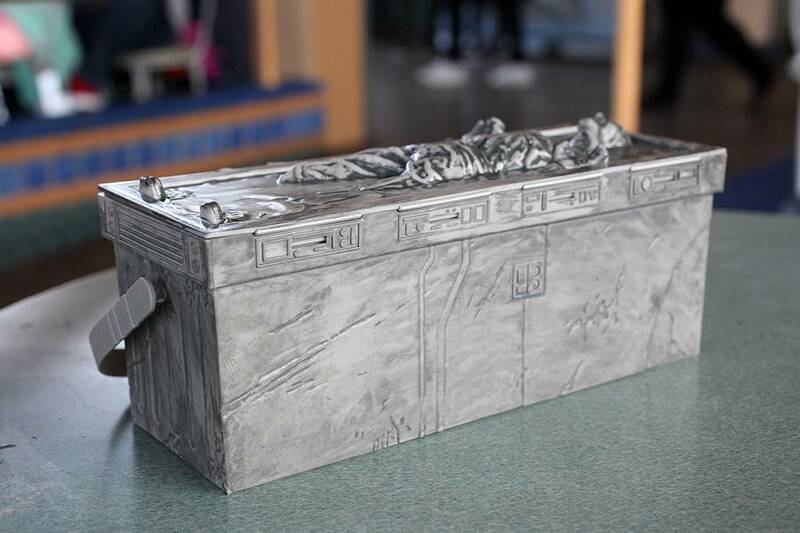 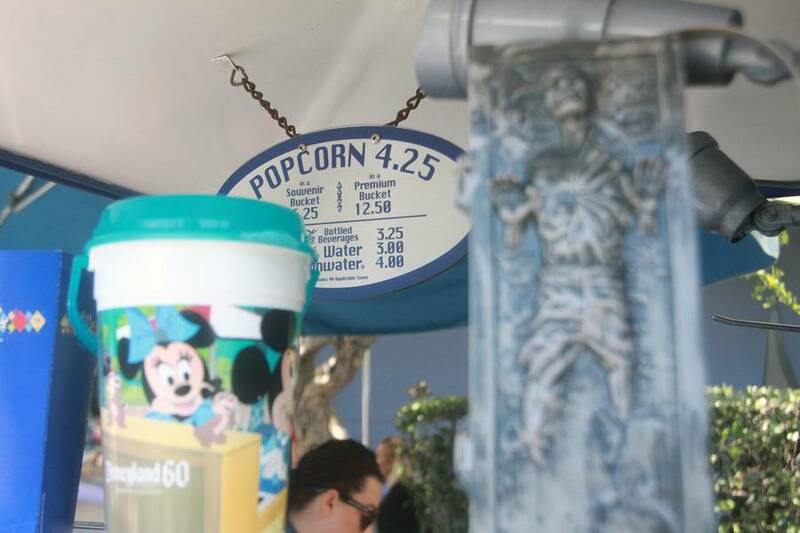 Han Solo in Carbonite is the latest Popcorn Bucket that can be found in Tomorrowland for $12.50 but you can also get it with a burger and fries for $18 and change at Tomorrowland Terrace if Popcorn isn’t your thing. 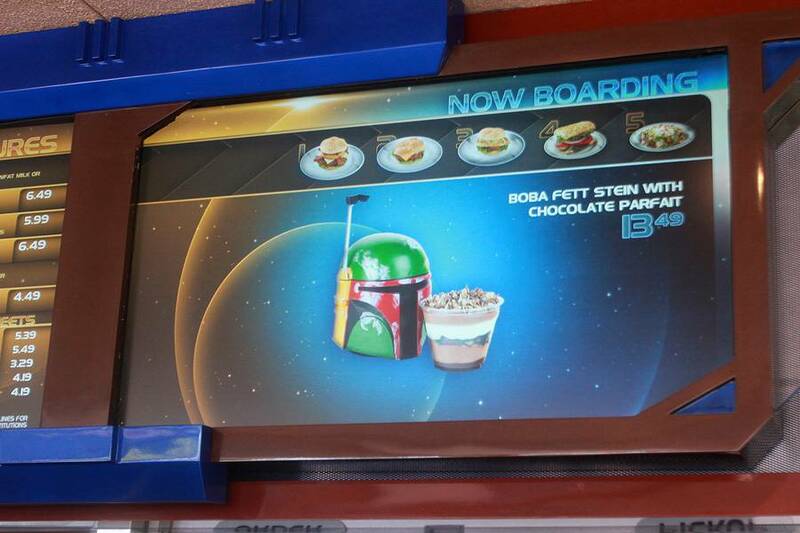 Also at Tomorrowland Terrace, you can find the Boba Fett Stein containing a Chocolate Parfait for $13.49. 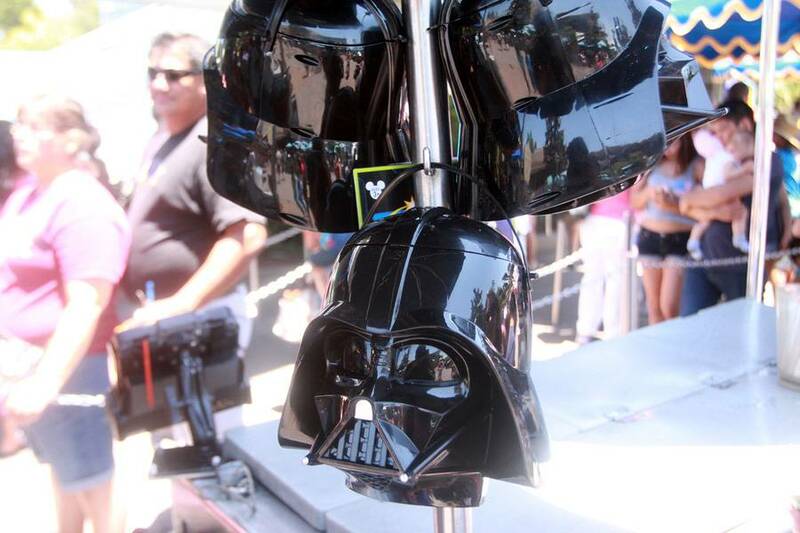 If you’re still looking for something Darth Vader, you can find him near Finding Nemo Submarine Voyage coming with Cotton Candy for about $12. 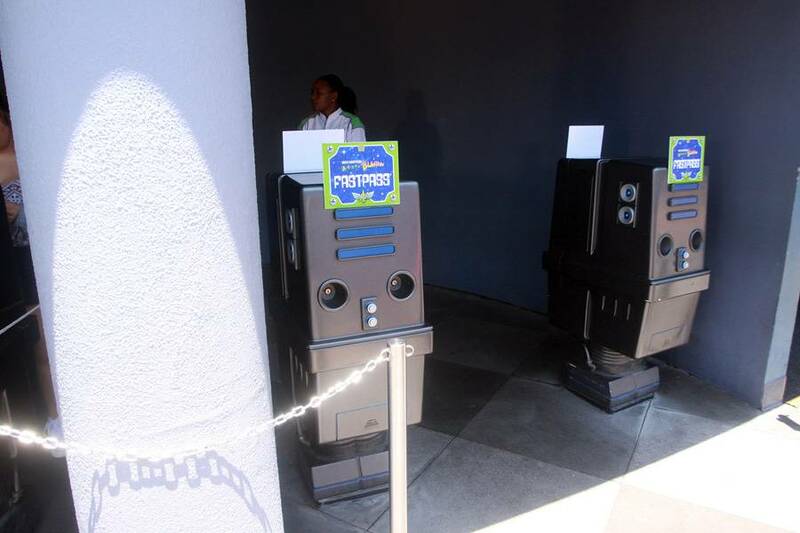 In other news, two of Star Tours’ Fast Pass machines were donated to the neighboring Buzz Lightyear Astro Blasters… not that the ride needs it. 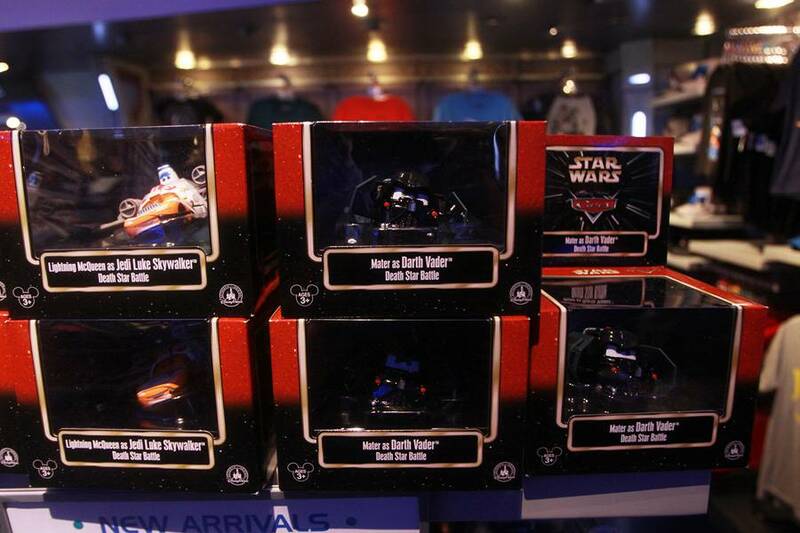 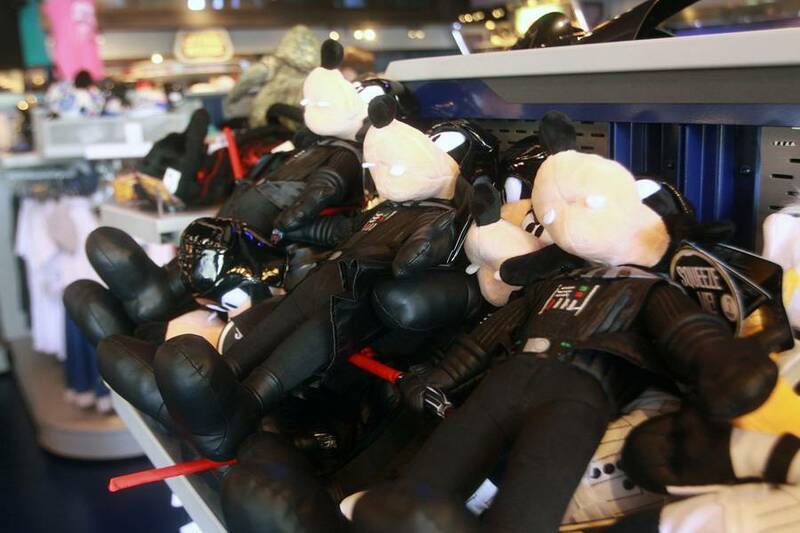 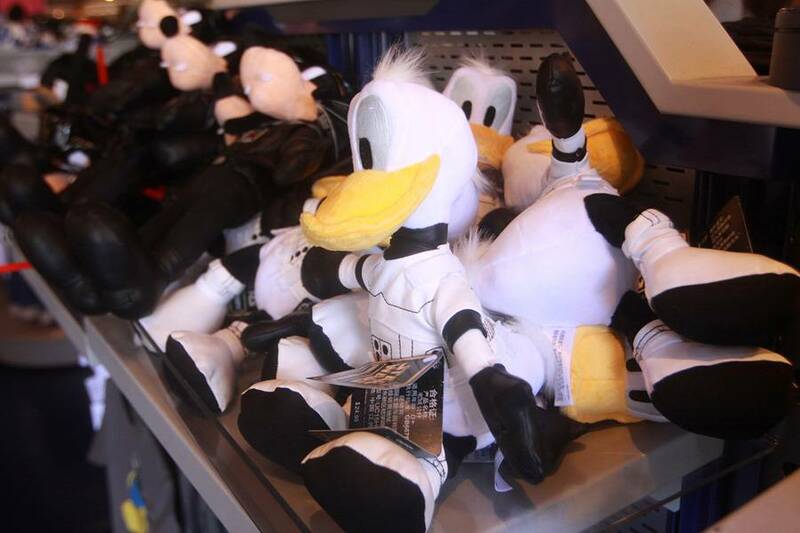 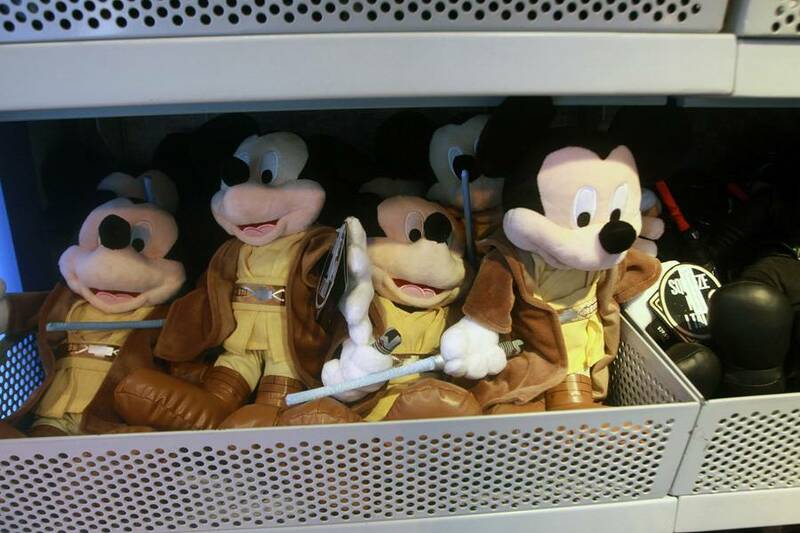 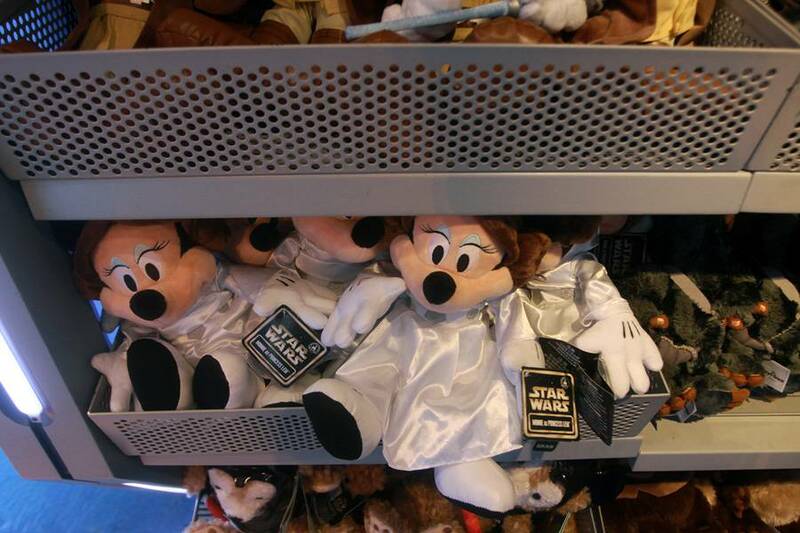 Some new Star Wars plush and CARS mash up product is also available at Star Trader. 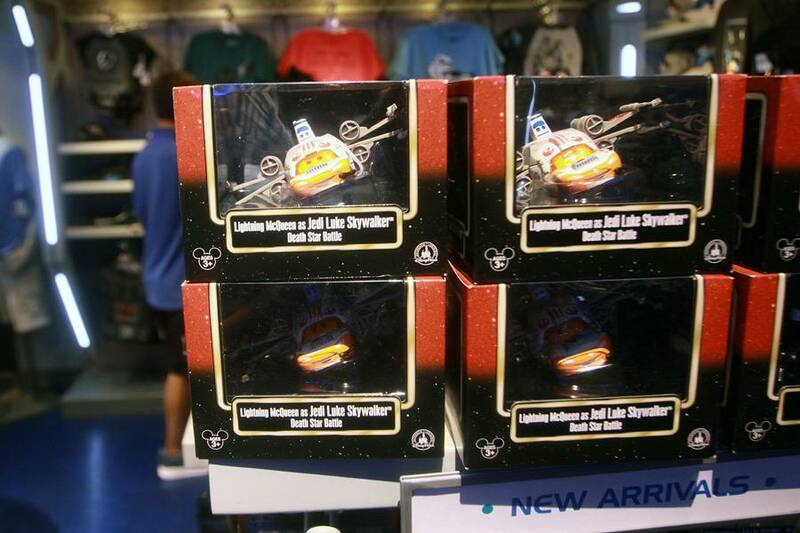 The deluxe Lightning and Mater figures are the very last of the Cars / Star Wars mash up toys so be sure to pick those up. 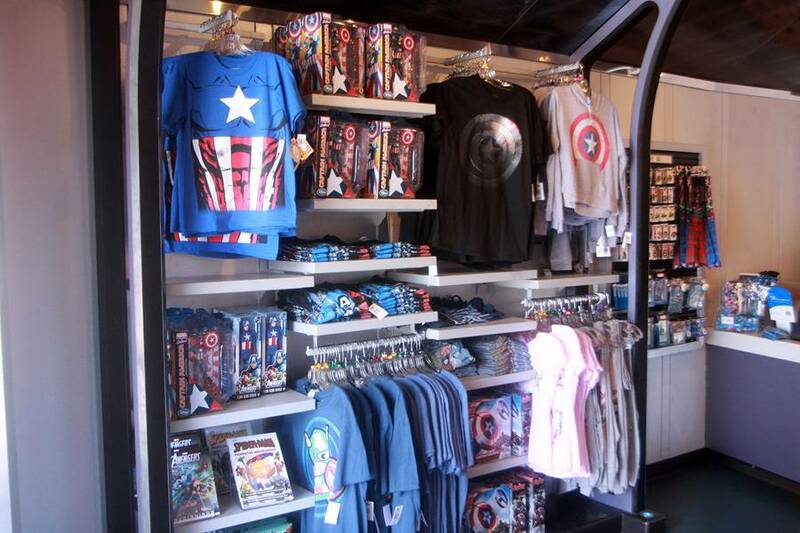 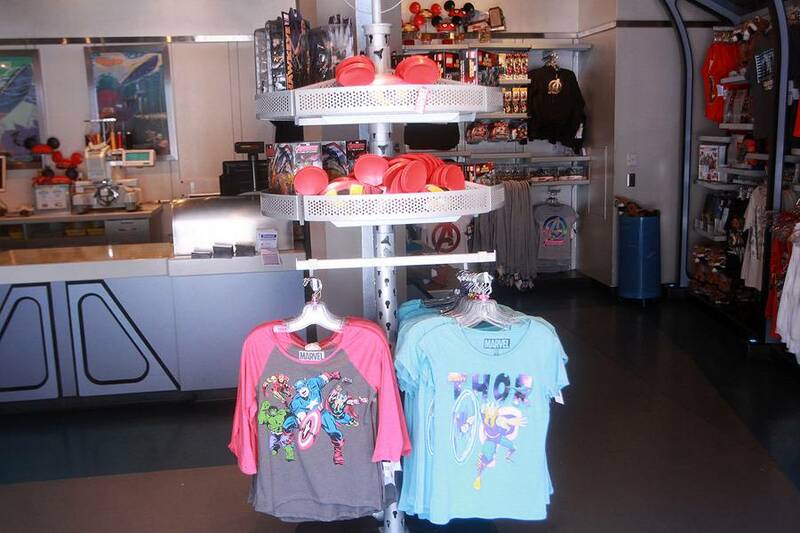 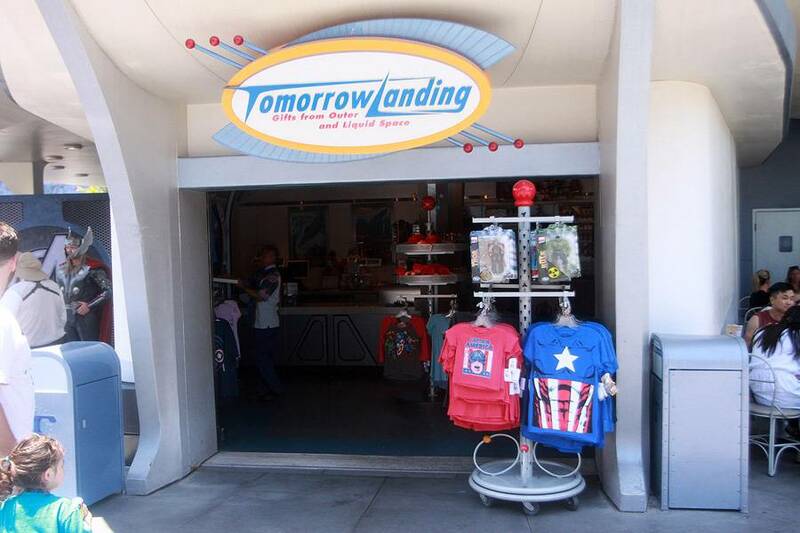 The nearby store TomorrowLanding has swapped out some of its hats for a more Marvel-centric store. 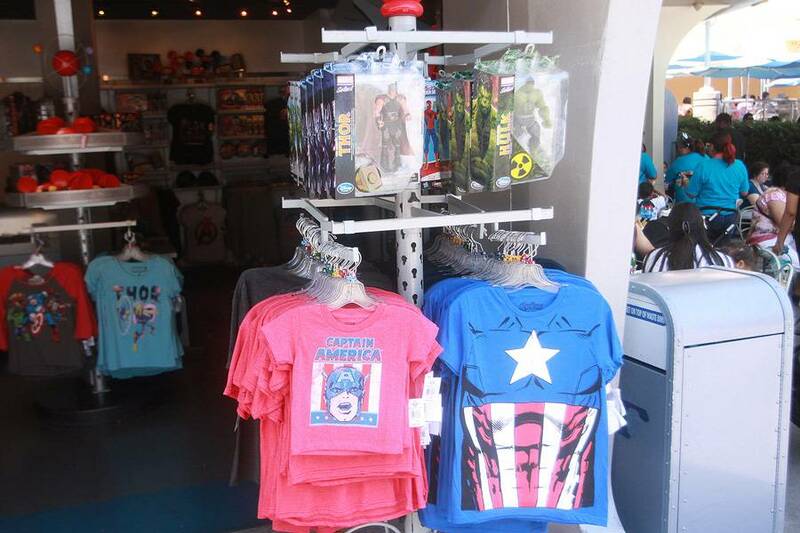 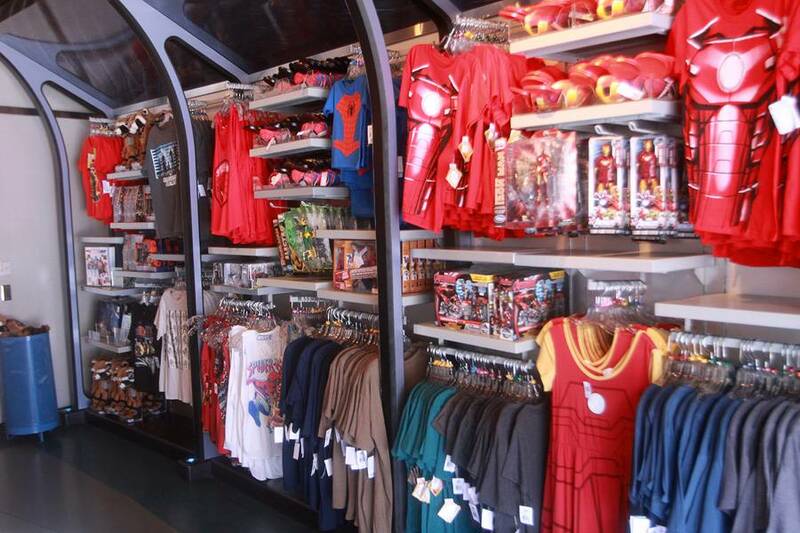 You can get shirts and toys from the Marvel Universe. 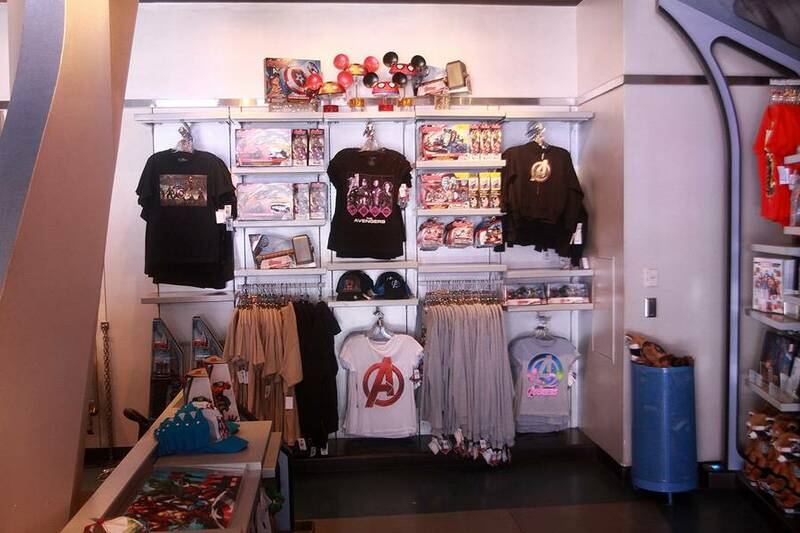 Of course all of this is still available at D-Street in Downtown Disney as well. 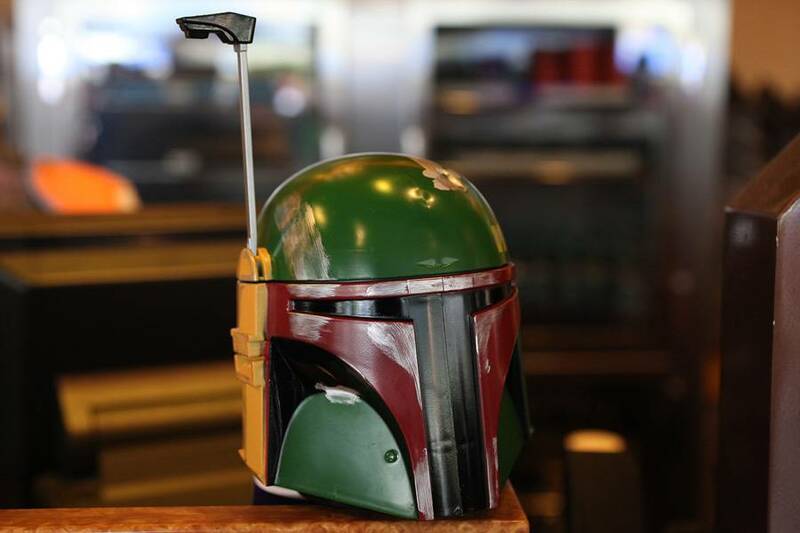 We’ll be back next week with more updates!